The big game of the week in LF2 was supposed to be the derby game between Dunkerque Malo and COB Calais. However this match turned into a no event with COB Calais winning (107-51). Last season (2011-2012) COB Calais had been beaten at home by Dunkerque. Yet when meeting them again on the road Calais had to thank Emilie Duvivier who had fired them to victory (76-68) in a dramatic encounter. This time around the suspense did not last ten minutes with COB Calais rolling over their hosts in the first quarter (38-18). The game was as good as over by half time with Calais (51-29) in front. Mélanie Arnaud (34 points) and Manon Sinico (21 points) with a perfect shooting display led the way with 21 and 13 points each in the first half. 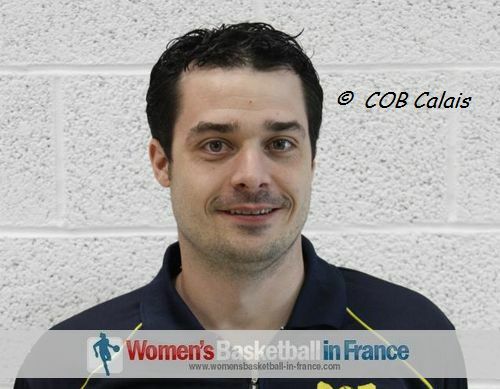 After the break Kévin Brohan, Calais' coach rotated his bench and allowed his youth players to take part in the festival. 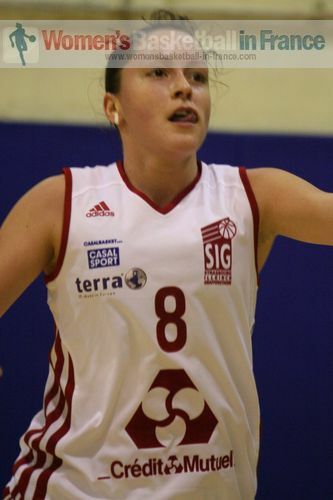 Jenny Fouasseau, former French youth international, scored the 100th point of the game for Calais from the free-throw line with two minutes to play. Calais are edging closer to securing a place in the LF2 Final Four while Dunkerque cannot wait for the season to come to an end. Reims BF put together a 20-0 run to lead Limoges (25-2) after five minutes. The remaining 35 minutes were an even affair with Reims BF pacing themselves to victory (91-70). Once again Maud Lesoudard had an efficient scoring day with 24 points. She was well supported by Emmanuelle Gorjeu who scored 19 points. For Limoges Iva Grbas - who played at Reims last season - scored 19 points. Illkirch-Graffenstaden led by 12 points with four minutes to play against US Laveyron. But then they had to fight hard to secure the victory. US Laveyron, led by Elena Vishnyakova (16 points) and Margot Joret (14 points) with some big three-pointers, came to within 1 point of their guests with 12 seconds to play. The end was messy. But a couple of free throws by Kathleen Bourdin (in picture) was enough for the SIG to hold on to win (69-66). Roche Vendée were not brilliant and committed 25 turnovers. Yet they were too strong for the CFBB and won (60-49). Sabrine Bouzenna, Christelle Morel and Sarra Ouerghi all scored 11 points. Pau Lacq Orthez really know how to make home advantage count as they pulled away from Léon Trégor in the last five minutes. Leading (52-50) they outscored their guests 18-4 for the victory (70-56). Léon Trégor might feel that the officials were not on their side, especially after Marie-Julie Levant picked up a technical foul in the final quarter. 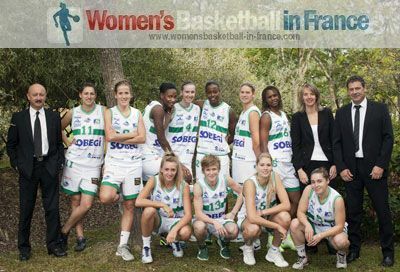 Awe Gueye and Vélia Bosch were the leading scorers with 13 points each for Pau. With six games left in the LF2 regular season, Pau are still in a good position to qualify for the play-offs. They are currently in fifth place, just one game behind Léon Tregor and Angers.